Diane Nelson, President DC Entertainment, just posted the following message on DC’s The Source website whee she talks about the relaunch. When I put in place the new DC Entertainment executive team in February of last year, I asked them to think big and be bold – to adopt a “no fear” attitude toward the business we love. We set out to reinvigorate interest in comics, bring in new readers and make our characters and stories more accessible to the widest possible audience, all while respecting the core fans who are the foundation of our company. That’s exactly what the DC Entertainment team has done with the unprecedented roll-out of DC Comics – The New 52 and the launch of same day digital comics. I couldn’t be more proud of the team or the results. Today’s release of JUSTICE LEAGUE #1 from Geoff and Jim kicks-off The New 52 and marks the culmination of a lot of hard work from all of our teams in New York and Burbank. 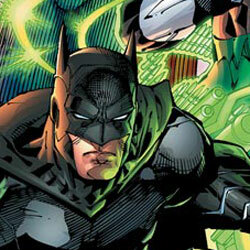 We’re very excited to share of our efforts with you and I hope you join us in celebrating DC Comics – The New 52. Stay tuned; we have a lot more in store for you throughout September and beyond. More Justice League #1 information as we have it.